Arnaud Desjardins met His Holiness the Dalai Lama for the first time in 1963, and gained his support to shoot these films. All the most revered masters agreed to participate in the making of these films: The Dalai Lama in person, Dilgo Khyentse Rinpoche, Dudjom Rinpoche, H.H. the XVIth Gyalwa Karmapa, Dugpa Tupse Rinpoche, the yogis Lopon Sonam Zangpo and Abo Rinpoche, Tai Situ Rinpoche… and many other eminent masters. This is some of the most impressive footage we have seen. 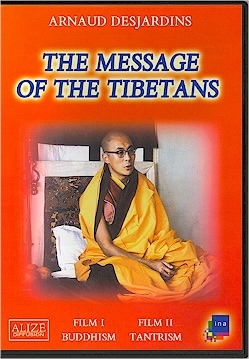 Filmed in India, Sikkim and Bhutan by Arnaud Desjardins in consultation with Sonam Topgey Kazi, the senior interpreter to the Dalai Lama at that time. Other older renowned masters shown here are: H.H. Sakya Trizin, Dugpa Dukse Rinpoche, Chatral Rinpoche, and H.E. Shamar Rinpoche as a young tulku. Each film is full of wonderful images of these lamas and monks performing rituals and meditations. There are unusual scenes of yogis performing preparatory meditation exercises.